Bitboards Helper is a small and crude tool designed to help chess engines programmers with bitboards. 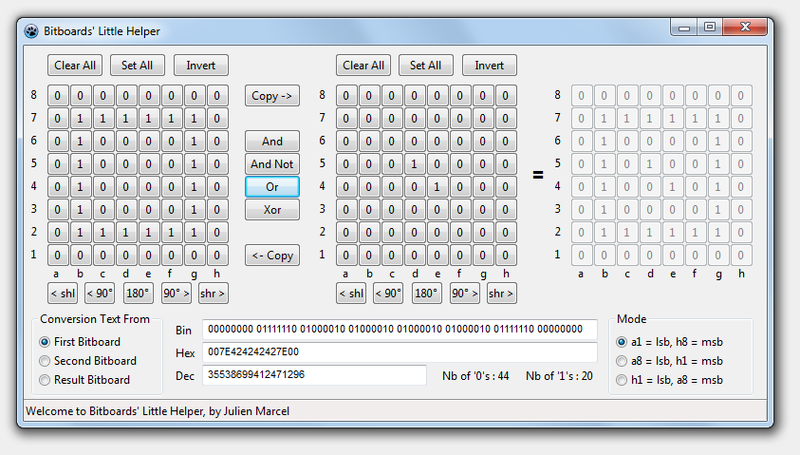 The corresponding value in binary, hexadecimal and decimal notations is updated in real time. This tool is free of charge and may be freely distributed, providing you keep this readme file intact and in the archive. Feel free to contact me for any suggestion of improvement at jul_marcel at hotmail dot com. 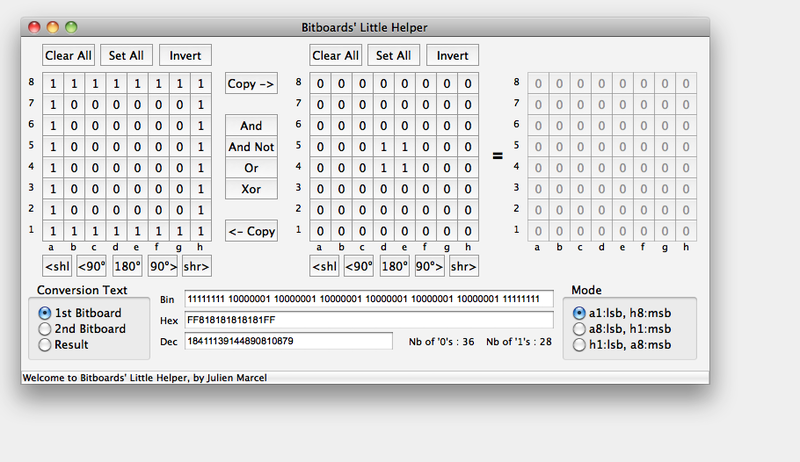 Bitboards' Little Helper is a small tool designed to help chess engines programmers with bitboards. Hello Julien, Is it possible to release an (Ubuntu) Linux build? I want a linux version. Are you planning to release it?